Welcome back to the Seven on Saturday series! For more info on what exactly this is (and why I’m doing it), you can check out this post. To see other Seven on Saturday, here’s where to go. Otherwise, let’s get to it! I’m pretty much 100% purifying my water instead of buying ANY bottled/jugged water. Previously, we’d been buying big jugs of water, which we put on a dispenser that heats or cools it, depending on what you’re after. It’s a pretty “green” way of doing things, considering that you return your used plastic jugs to be (supposedly) sterilized and used again. Still, though, the delivery of the jugs takes fuel, the eventually-broken plastic jugs do end up in landfills, and to be honest I don’t really like the idea of drinking water from dubious quality plastic (BPAs are almost certainly at play) that sits in the heat. Recently, we invested in a two-step tabletop purifier that doesn’t require electricity. LIFE CHANGER. The one I got is the “Unilever Pure” but I don’t think you can get it outside of Mexico. 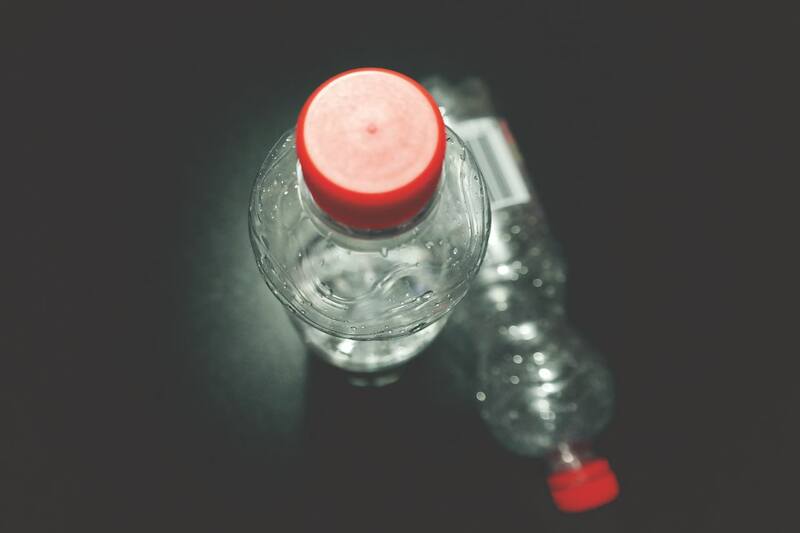 If you don’t need such a heavy-duty purifier but are a water-taste-stickler, you could try a Brita (which removes contaminants like chemicals and sediment) or a filtering water bottle. I’ve recently gotten REALLY into dry-brushing… mainly because Lee from America suggested it and she’s my self-care hero. Right away, I liked the strange sensation (not everyone does), and two weeks later, I was noticing unexpectedly awesome results in my skin. I’ve suffered from Keratosis Pilaris on my arms for most of my life (I also used to have it on my cheeks when I was younger), and it started to go away before eventually disappearing pretty much completely. My skin feels much softer than usual (other people have commented on it) and looks healthier and glowy-er. So wtf is dry brushing? Simple: just brushing your skin like you’d brush your hair. If you’re interested in trying it out, I’d recommend getting a specific dry brush (because the bristles are a bit softer and different than a regular hair brush, and you can get one with a long handle to reach your back). REALLY dedicated dry brushers usually opt for a few different brushes for different parts of their body (like feet, body, and face), but I’m not there yet. I dry brush every day after I shower (when my skin is still a bit damp but I know it’s all clean), starting at the soles of my feet and working up to my shoulders. I don’t dry brush my face. Supposedly you’re supposed to dry brush BEFORE you shower, but that feels ickier to me (then you’re brushing a bunch of old dirty dead skin cells around). I’ve been big into gardening lately, which is a skill in itself (my green thumb did NOT grow naturally), but I’ve found that gardening brings a bonus skill into play: PATIENCE!! I’m a micro-manager, and my husband likes to call me Patience Zero (a play on words with “Patient Zero” while alluding to the fact that I’m the least patient person ever)… because I’m probably the least patient person you’ve ever met. Ever. The thing is, though, you can’t force a plant into growing. And the more you micromanage it (adding water, adding fertilizer, trimming here, trimming there), you can actually damage it. Aside from maybe bonsai, I’m pretty sure plants just want some basics and to be left alone. So I’ve been getting low-key obsessed with succulents and rescuing every sad-looking succ I can find. I just counted, and I’ve currently got 20 succulents (plus about 50 more propagating), 14 other plants, 4 herbs, and 2 cacti. Instead of a small business, this week I’m recommending a project and a movement. Voyage to Vulnerability was started by Lena, a first-generation Greek American with a passion for travel and intercultural exchange. She’s spent the last decade working in the field of international and experiential education. As an anthropologist and educator, she’s passionate about creating safe spaces for self-discovery and personal growth, while fostering opportunities for empathy and interpersonal engagement. I believe storytelling is a very powerful way to begin to break down stereotypes and open the door for dialogue and understanding. This is why I started #voyagetovulnerability on Instagram. 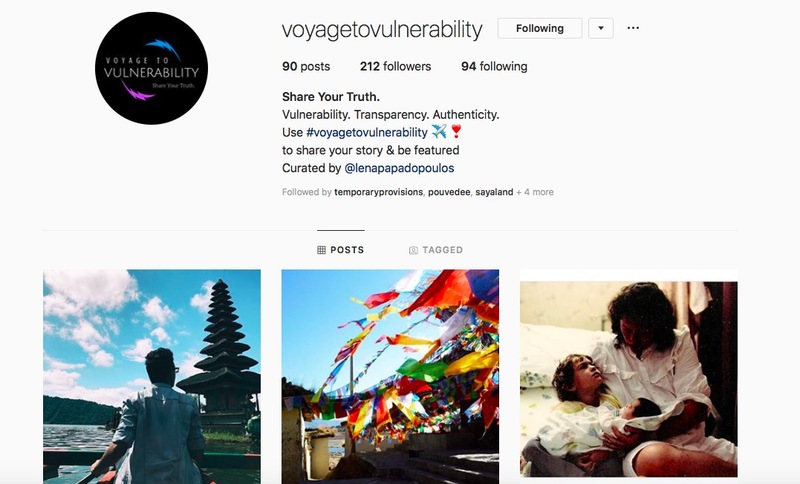 I hope Voyage to Vulnerability will encourage people to share their stories, experiences, and reflections with vulnerability and transparency. I believe we’re taught and expected to hide the darker, more difficult aspects of our lives, but I believe the scarred, wounded parts of us are just as real as the good, and they most often have a bigger impact on the way we move through our lives and show up in the world. So many of our beliefs and decisions are ruled by fear, and we give away our power by trying to hide the most real parts of ourselves. This is the same kind of fear which leads us to misunderstand and judge others. I want to work toward changing that norm through this platform, and I would love for more people to be a part of it! Mexico’s most famous international tourism destinations are probably Cancun (and Playa del Carmen) and Cabo, with Mexico City, Oaxaca, San Miguel de Allende, and Tulum as rising stars. I never ever ever hear anyone talk about Chiapas, which is weird, because it’s so unique yet so easy to reach. Tuxtla Gutierrez, Chiapas’s capital, has an international airport, but most likely you’ll be flying in from Mexico City (also worth a stop!). 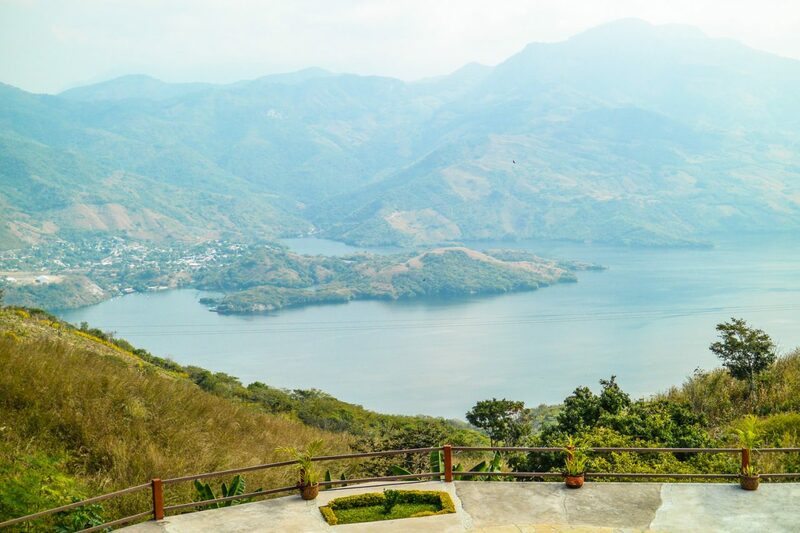 If you’re looking for world-class adventure activities (without paying top-shelf price), Chiapas is the place for you. Plus, the landscapes are incredibly stunning and diverse, and there are so many places to see within the state. I’d recommend basing yourself in Tuxtla Gutierrez for a few days, before checking out San Cristobal de las Casas and Palenque. 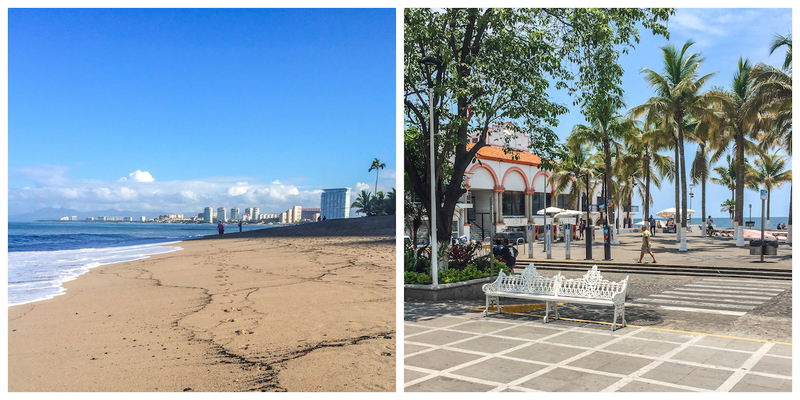 Basically, the place is the ultimate one-week Mexico trip, where you can have culture and adventure and relaxation AND delicious food (and the best coffee and chocolate on the planet). I want to live here forever! I’m feeling like putting down roots and it scares the heck out of me. These last 6 years have been busy and intense and I (and then we, after meeting my now-husband) moved 10+ times, to 3 different countries, to 5 different cities. I really, really, REALLY crave some stability. And having “my” cafe and a yoga studio that feels like home and having friends for more than 6 months max and then leaving and needing to make new ones. I keep this a secret because I’m worried about how this changes me, and how it changes how people will perceive me. In the past 6 years, I’ve traveled or lived in nearly 40 countries. This is a part of my identity. Being a traveler is (was?) a major part of how I see myself. In 2018, I have only two international trips, one of which is to the United States. If I’m not traveling frequently, then who am I? I’ve also kept this a secret because my past has shown that just as I start to get comfortable and happy somewhere… the universe has plans for me to move. PLEASE UNIVERSE HEAR ME: I want to stay!! The universe also KNOWS I’ve had some major Airbnb issues in the past, which I worked through, and we even used Airbnb for our honeymoon on Koh Samui last year. That being said, I’m again starting to rethink just how great Airbnb is for travelers, and even more so: for communities. I struggle with a few health issues, one of which is very strongly related to sleep. It’s important for me to go to sleep and wake up at a similar time each day, and to get quality sleep – as it is for everyone! 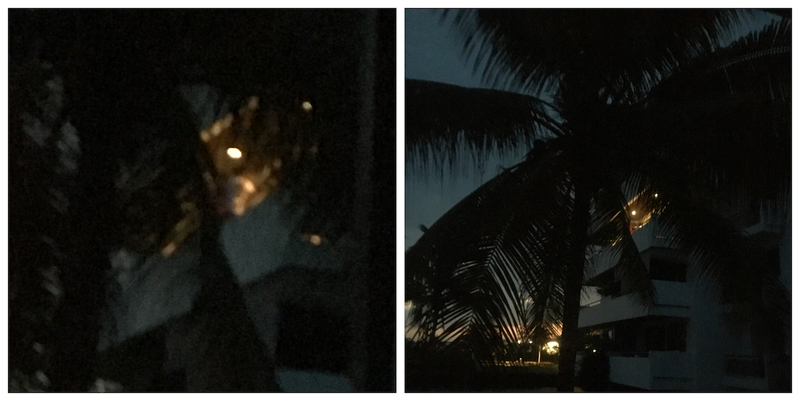 But two Airbnbs in our condo complex are constantly hosting big, rowdy groups of teenagers and college students, who party throughout the night and into the morning, and don’t give an F how many times we ask them (at varying levels of niceness that exponentially decrease based on the number of times we’ve had to ask) to be quiet. All of the units in our complex face in towards a pool, which means that if one unit is partying on their balcony and blasting music at 3am: WE ALL CAN HEAR IT. The organization of our particular unit is (unfortunately) so that our bedroom has a large, sliding glass door directly onto the pool. Great for an easy-access swim, not so great for soundproofing. I have earplugs, and I turn on the AC full blast and flip on the white noise machine, but nothing can block out the boomp-boomp-boomp music or the shouting and screaming that seems to come along on every teenage party. I’m exhausted and frazzled. We’ve tried pretty much everything we can think of, and the hosts don’t seem to care, and the police don’t either (pretty sure they’ve got bigger fish to fry, understandably). Has anyone else struggled with a similar issue? Advice?